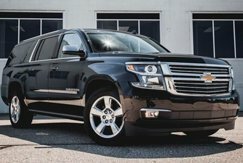 Renting such cars as Tahoe and Suburban, is suitable for a large family, large delegations, companies and other mass events. SUVs are frame, this is really a huge SUV and can act as a tractor. 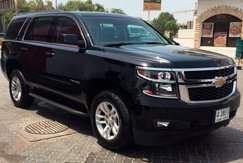 Powerful V8 engines with a comfortable interior inside. Suitable for long trips or for crossings, because the trunk in these cars reaches 1000 liters. Such machines are simply huge, and this is without the folded seats of the second row.